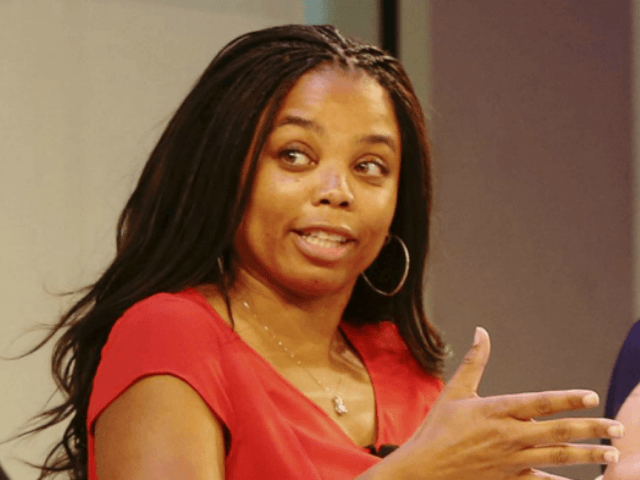 ESPN host Jemele Hill is at it again, going off into political commentary despite her previous suspension for violating the network’s rules against talking politics. 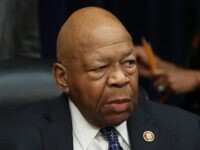 Hill has repeatedly violated the company’s rules against talking politics and the controversy she stirred even pushed the cable network to reiterate that causing political firestorms is grounds for disciplinary actions. But now, even after the renewed warnings, Hill is once again straying from sports and jumping into politics. Readers may recall that Hill, a host of the cable sports network’s SC6 program, ignored the company’s past proscriptions against employees engaging in political commentary two times in a matter of only a few weeks. Early in September, Hill jumped to Twitter to call President Donald Trump a “white supremacist,” a posting that earned her much criticism but no action at all by her employers. Not only did Hill receive no punishment from ESPN bosses for breaking the company’s social media bias policy, the CEO of ESPN’s owner, Disney chief Bob Iger, intervened to make sure she faced no punishment. Only weeks later, Hill was at it again posting a series of tweets instructing people on the finer points of advertising boycotts, for the purpose of boycotting the Dallas Cowboys. For that violation she finally earned herself a two-week suspension. After Hill’s violation, along with violations by several other employees, ESPN held a mandatory company-wide meeting to reiterate the ban on overtly political discussions and noting that ESPN is a sports station, not a politics station. During the mass meeting, network bosses hinted that violations of the politics ban could result in disciplinary actions. But, despite the suspension and the reiteration of the ban, host Jemele Hill seems un-phased in her desire to speak out on politics. Indeed, this week she was at it again slamming Crimson Tide head coach Nick Saban for remaining quiet during the recent contentious Senate election in Alabama. In a new article published in New York Magazine, Hill wondered why the coach didn’t speak up against Republican candidate Judge Roy Moore, Awful Announcing reported. “What was Nick Saban’s responsibility?” Hill asked of Saban’s silence on the controversial campaign. “Considering that one of the candidates has said some ignorant and pointed things about African-Americans, and with [Saban] having mostly black players, did he bear some responsibility to speak up?” Hill added. It would seem that Hill, at the very least, would be guilty of the third provision requiring prior communication with producers and editors. No one can say for sure, but its extremely unlikely she cleared those comments with a producer prior to making them. The issue of the Alabama senate race is clearly not a “sports-related issue,” nor does the fact that Nick Saban has a majority black football team make it sports related. After all, Nick Saban’s football team is also majority Christian. Yet, if Roy Moore or Doug Jones had made anti-Christian comments would Jemele Hill have demanded a response from Saban? So there clearly seems to be at least a partial violation of the first mandate. Nor was there any effort, at least in those lines, to “offer balance or recognize opposing views.” These points could be argued either way, however, Hill’s comments seem to clearly violate at least a part of ESPN’s commentator policy on politics. Hill did not elaborate on why a football coach should be required to speak up on politics, but her desire to delve into the topic shows that she is not letting ESPN’s ban on political commentary put a hitch in her desires to speak out. Awful Announcing points out that even though Hill’s latest comments were not made on social media, it still seems to violate the network’s proscription against political commentary. The sports site goes on to note that enforcing the ban on political commentary is going to be very hard for ESPN to effect, but Hill certainly violated it nonetheless.